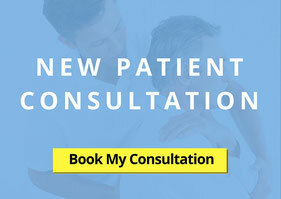 The following case study summarises the recent experience of a new chiropractic patient at Lyons Road Family Chiro. He came to the clinic from Russell Lea without much knowledge of chiropractic care and was assessed to determine if and how chiropractic care could help in his case. In a moment, we will tell you about his success so far with chiropractic care. The patient actually noticed benefits after the first adjustment! The notes below consist of two interview summaries, one with the Chiropractor and one with the patient. To maintain patient confidentiality, the name John is fictitious. Why Chiropractic? John’s family suggested he see a chiropractor after both his local GP and a neurologist were unable to help him with his health condition. John didn’t know much about chiropractic or if it could help him, except that chiropractors ‘cracked bones’ (of course, chiropractors do a whole lot more than just ‘crack bones’. You can read about chiropractic adjustments and more here). Diagnosis: After a few discussions between Dr. Paul (Chiropractor) and John, John realised that perhaps one of the causes of his health complaint was the way he watched TV. For years, John would lay flat on the lounge and prop only his head up with a cushion. This unnatural position puts enormous pressure on the neck and the spinal cord. This realisation lead John to learn a lot more about his posture and how it effects the health of his spine and nervous system. John’s spine was out of alignment and this put pressure on his nervous system. Poor posture can cause the spine to degenerate over time. Being 'posture aware' can help prevent some of this degeneration. Treatment? Dr Paul recommended a series of chiropractic adjustments for John. John respected the Doctor’s diagnosis and Report and saw an opportunity to really change his life and health for the better. John commenced care with a series of scheduled adjustments with the goal to free up his spine, remove nerve interference and improve his posture. John was also prescribed home therapy, specific exercises, specific neck tractioning and other stretches. John has commented that he has seen an overall improvement in his posture and that the tingling and numbness down the left side of his body has decreased noticeably. Dr Paul has observed an increase in range of motion through flexibility tests and chiropractic adjustments, as well as an observable improvement in physical posture - both sitting and standing. John told the clinic that his care thus far has taught him so much! John even felt better after his first adjustment and noticed the numbness down his left side reduced after the first week of care. He has learnt several new things about the human body and how it functions, how to exercise and stretch properly and was quoted as saying he learnt ‘how to live’ again. Home Tip: Dr Paul says “take a selfie but from the side” Ask a friend to take a picture of you from your side with your camera phone. Now, take a look! An optimal spine and posture should see your ear directly overhead and in line with the mid-point of your shoulders, and your shoulders directly overhead and in alignment with the mid-point of your hips. If this is not the case, you may have a potentially damaging misalignment of your vertebrae bones, with or commonly without symptoms. This is also known as subluxation. With continued chiropractic care, the future looks especially bright for John. Remember, your posture really is the window to your spine, and to optimal health. 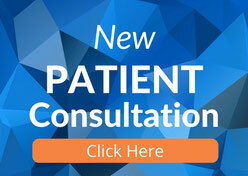 If you would like to make a consultation to see a Chiropractor please call or email us below.